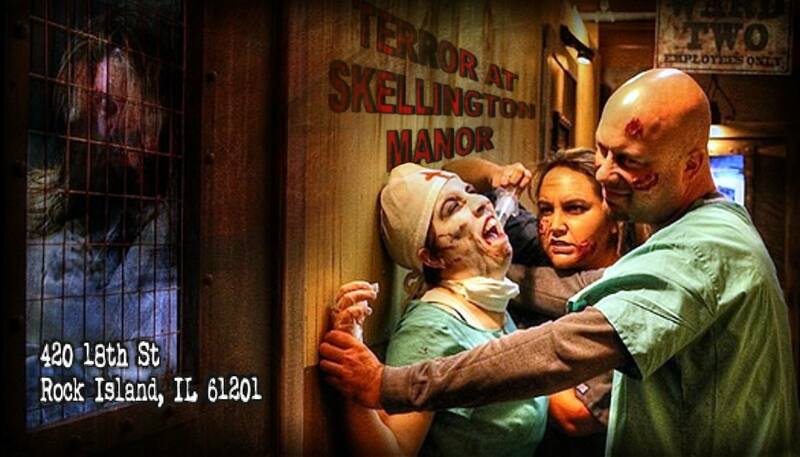 Terror at Skellington Manor is the Quad Cities premier haunted attraction covering 4 stories and over 28,000 sq. ft. located in Rock Island, Illinois. Documented paranormal activity makes this 100 year old former Masonic Temple a must see haunted experience. 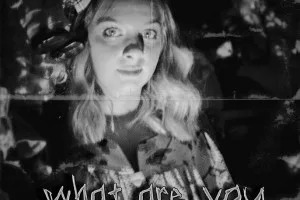 With a cast of over 60 actors, state of the art special effects, and documented paranormal activity, the creep factor meter is pegged at INSANE on this year’s haunt. 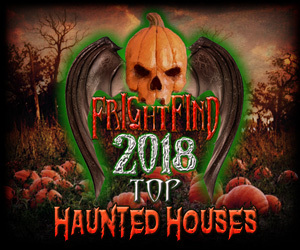 Created by the same owners of “Terror in the Woods” ensures each victim receives a bone-chilling haunted experience like nothing they have ever seen before, at any haunt. 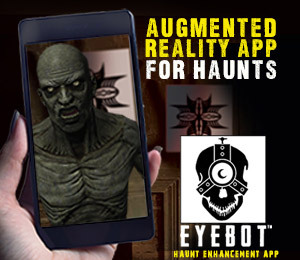 If you have the nerve to enter this insane Asylum during visiting hours you will be astounded by the amount of detail and special effects in this haunted house of Terror. 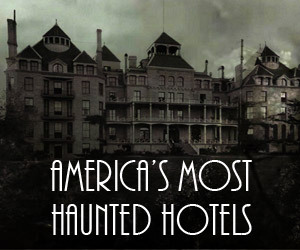 This year’s theme features Patients hell-bent on keeping visitors entombed in the most primeval fears known to man. 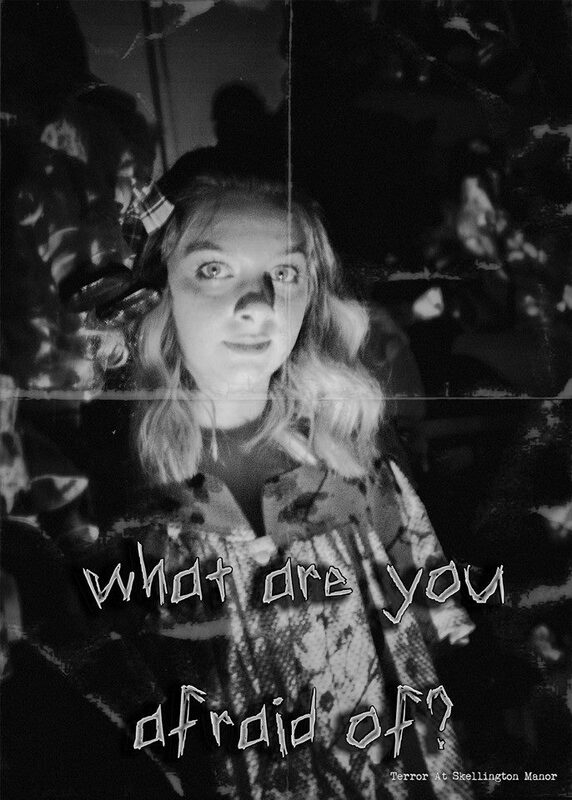 With every twist and turn, one will wonder if the disturbing experiences will ever end. 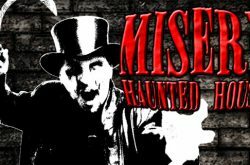 The creepy special effects and the return of the Fright Elevator will leave you screaming for your life, as you run from the haunted horrors. During the renovation of a historic building in downtown Rock Island, several people have reported hearing footsteps and seeing ghostly apparitions lurking in the halls, doors slamming and strange voices throughout the building. The previous owners have also confirmed that they had reports of similar experiences. 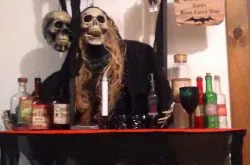 Paranormal investigators have determined restless spirits from the past dwell within the walls of Skellington Manor. Are they watching? 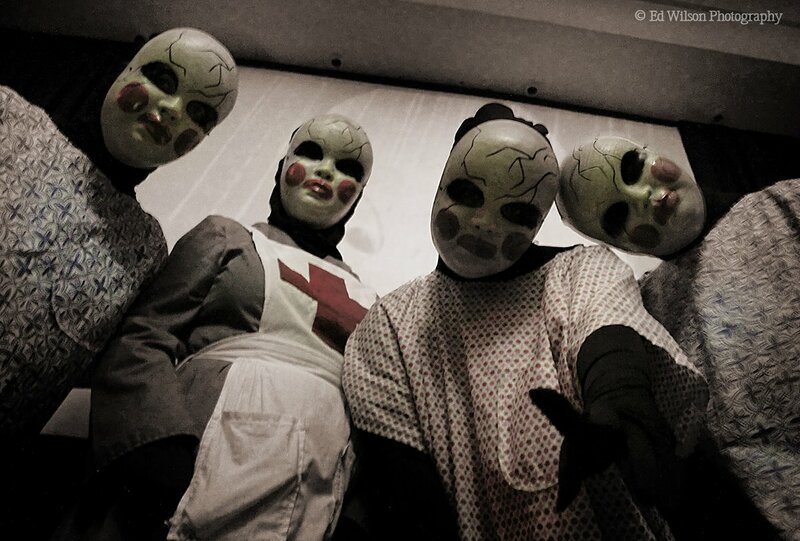 Are they waiting for you?